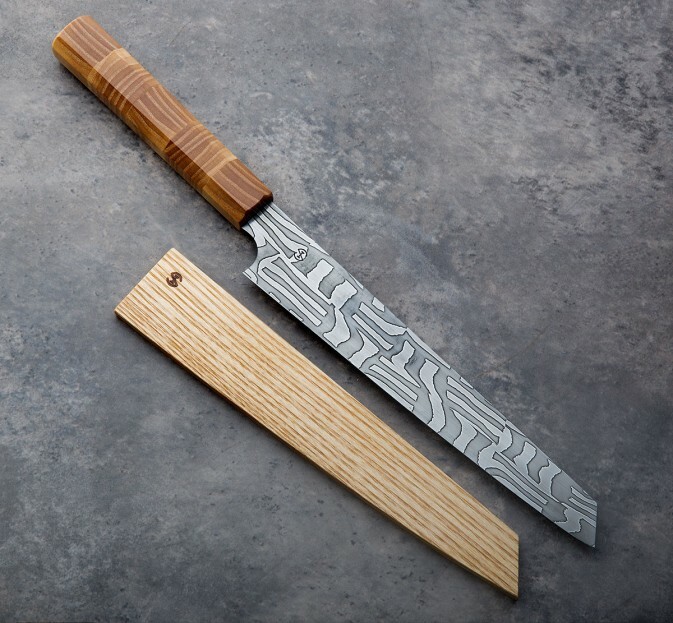 Harvested personally by Isaiah Schroeder, the honey locust wood handle in an octagonal, wa-style, cross-hatch pattern shows beautiful grain and is contoured around the edges for excellent comfort. 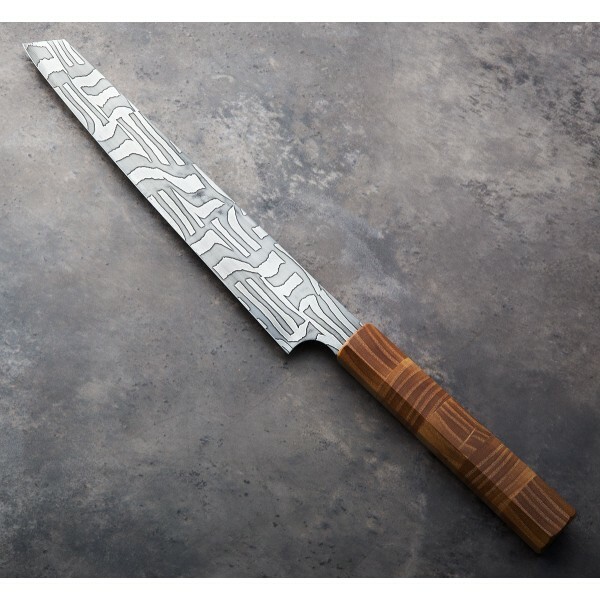 The forged basket weave house-made damascus blade in 1095 and 15n20 steels is thin and light with just the right amount of flex for effortless slicing in a medium length, perfect for a variety of prep and post-cooking carving tasks. 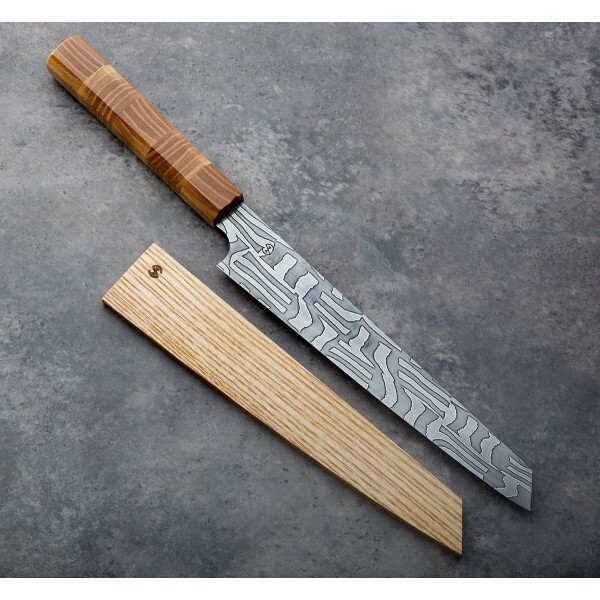 Our first handcrafted chef knife by Isaiah, maker of our popular Moribashi Cooking Chopsticks, this sujihiki is a beautiful custom piece made in Madison, Wisconsin and includes an oil-finished ash saya is included. 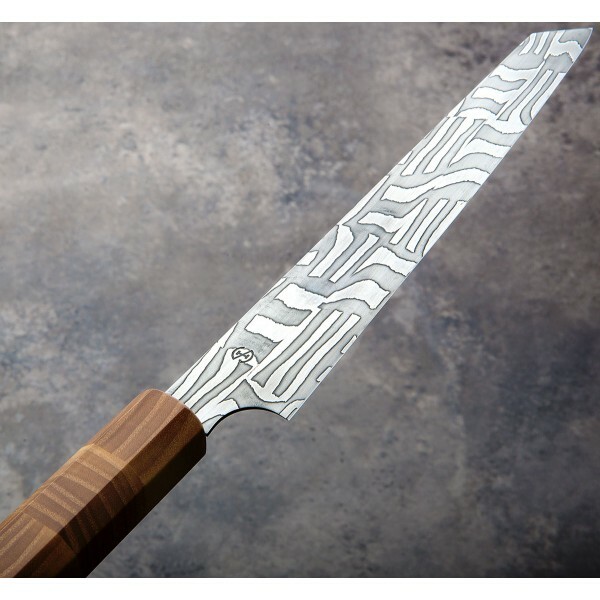 Blade length: 205mm / 8.1". 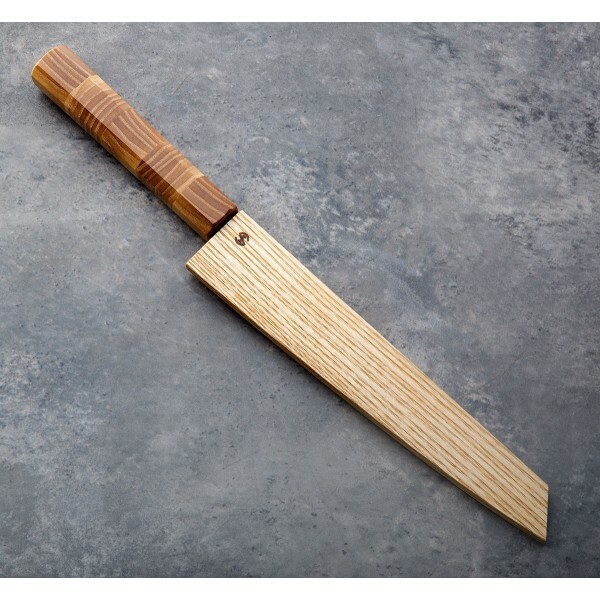 Overall length: 350mm / 13.8" overall. Blade width at the choil: 1.8mm. Blade width one inch from tip: 1.4mm. Blade height at heel: 34mm. Weight: 4.9oz / 138g. Blade: House-made basket weave damascus in 1095 & 15N20 carbon steels. 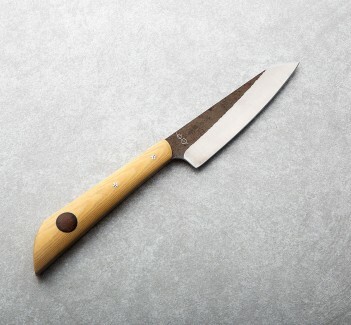 Handle: Honey locust wood. 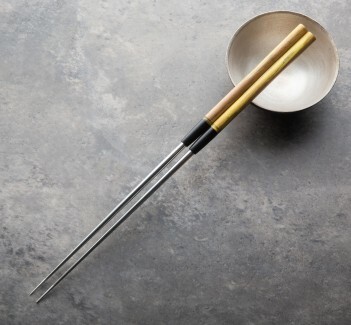 Saya: Oil-finished ash wood.